Snap Marketing | Is it time to reconsider Google AdWords? At Snap, those clients who have known us a while, know we have not been especially keen on Google Adwords in the past, believing that SEO was a better investment – especially long term. Certainly, all the evidence supports this; surely a visitor who has found the site organically, or through a blogpost or insight on social media, will be a warmer lead. According to Search Engine Land 70 to 80% of search engine users only focus on the organic results ignoring paid ads. 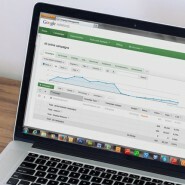 On top of that, we see 4 compelling upsides to a properly structured SEO campaign. A good position at the top of the organic rankings will influence perceived credibility of your business within the searching audience Many users skip ads, according greater credibility to organic results and this visibility gives your business a crucial stamp of approval. Once set up, all organic traffic to your website is effectively free. Developing and managing the SEO campaign takes time and budget, but there is no cost per click. Unlike pay per click, traffic achieved through SEO is sustainable paying. Even is budgets are cut, the investment in SEO is still working for you. Once your business is ranking well in the organic results for a set of keywords, your competitors will find it hard to move you from this position. Even if they buy their way in through pay per click, your business will have greater credibility and more trust, because that’s what the stats say. 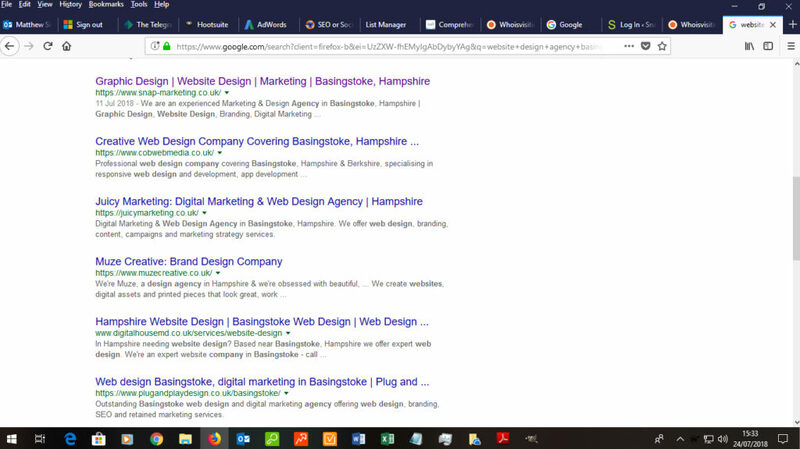 However, when Google changed their page layout and moved the paid ads from the right panel to the top 4 positions, this effectively means that all organic listings are relegated to ‘below the fold’ on the average laptop screen. Try it. 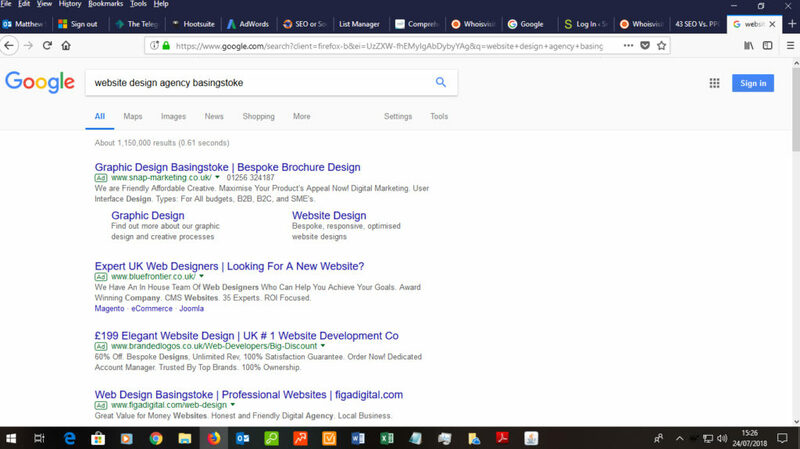 Key any popular keyword into google such as “website design agency Basingstoke” and you will see what we mean. The first 4 listings are ads and they fill the page. You will need to scroll down past the ads to get to the organic listings immediately below. Because page one of the SERPs on google are now paid positions, it has forced us to rethink our search engine marketing strategies. Although SEO ranking is more trusted, you cannot escape the fact that click through rates reduce for sites further down the rankings. We have been actively running Adwords campaigns for over a year now for both Snap Marketing and for clients. What we have discovered is really interesting; highly focussed paid campaigns are highly successful with high click through rates and high ROIs. And having been consulted by a prospect who was spending £6k per month, we can see that poorly structured ‘blanket’ campaigns do not, and can waste huge sums in the pursuit of clicks at any cost.